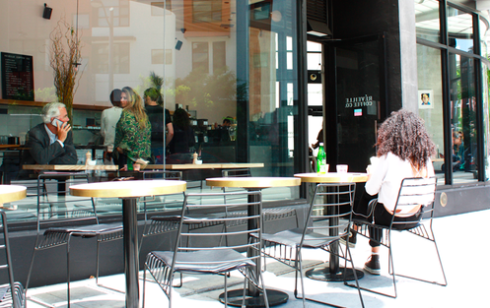 Located in the newly developed Mission Bay neighborhood, this location has the privilege of being one of the first dining and coffee destinations in the area. Serving as Réveille Coffee Co. roasting headquarters, lucky spectators can catch them roasting on the German made Probat. There is a full menu provided by Cafe Réveille accompanied by a delectable beer and wine selection and full juice bar. This location also has a sun-filled outdoor seating area. © 2018 CoffeeHunters. All rights reserved.